From The Atikokan Progress: By just about any standard, Atikokan is a small, remote town. But if you have anything to do with economic development, you probably think otherwise these days. The Atikokan Economic Development Corp. has won more accolades for its accomplishments, this time from the International Economic Development Council (IEDC). 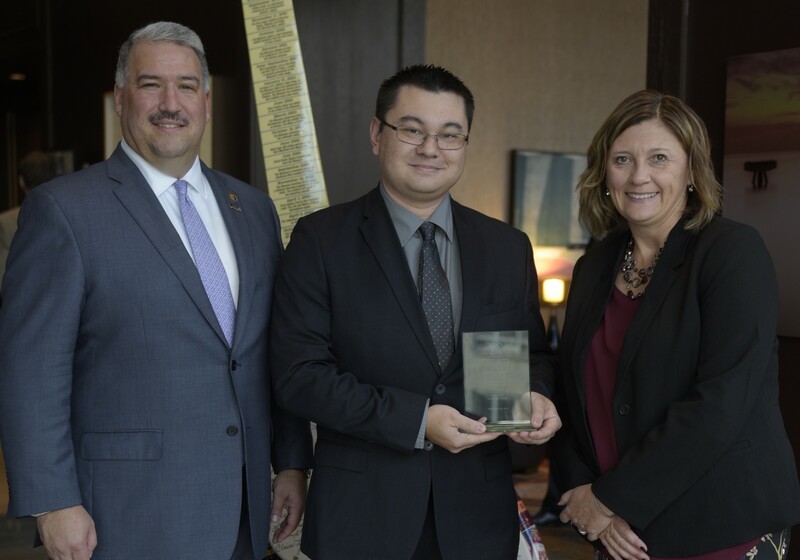 On September 26, the IEDC presented one of its Excellence in Economic Development gold awards to the AEDC for its leadership in the development of the Heart of Continent geo-tourism website. AEDC Community Development Advisor Gord Knowles, who was honoured as the Young Professional of the Year by the IEDC, was also directly involved in the Heart of the Continent project, the development of its geo-tourism website, and the partnership with National Geographic that gave it immediate credibility with travellers. 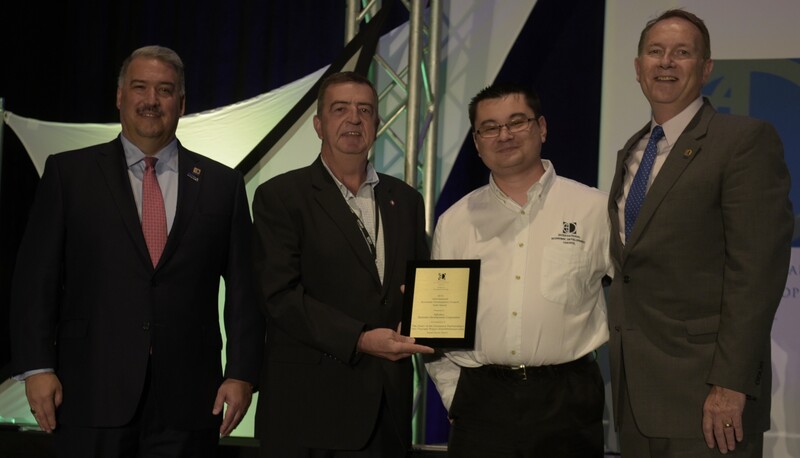 “Not only did [the AEDC] work to provide a necessary service to their community, but also, their participation in the awards program sheds light on their stellar projects which other communities can now use a benchmark,” said Matherly, in announcing the Gold Award. IEDC’s Excellence in Economic Development Awards recognize the world’s best economic development programs and partnerships, marketing materials, and the year’s most influential leaders. These awards honour organizations and individuals for their efforts in creating positive change in urban, suburban, and rural communities. The Heart of the Continent’s geo-tourism project is a collaborative effort done to stimulate and promote tourism and the ‘outdoor experience’ in northern Ontario and northern Minnesota, using the strength of National Geographic’s brand. The project is part of the objective of the Heart of the Continent Partnership (HOCP), which formed to bring together members and other local stakeholders to collaborate on non-partisan, bi-national projects. From a regional cooperation of land managers in Canada and the USA, the HOCP has grown into a group fostering tourism, scientific and volunteer projects meant to improve the well-being of both nations. Atikokan Economic Development Corp. has been a driving force of the HOCP for a number of years and is the central office to its headquarters; their extensive experience with the tourism industry and economic development helps to further the organization and its projects. The website project brought together stakeholders on both sides of the border who raised in excess of $250,000 to plan and execute the website, mobile application and map. The basis of the project was universal to develop a common identity for the region beyond provincial or national borders, defining the area instead by its geography, its history and its people. Barry Matherly, chair of the International Economic Development Council (IEDC) and Greg Hitchin, chair of the IEDC awards advisory committee present the excellence in economic development gold award to the AEDC, represented here by executive director Garry McKinnon and community development advisor Gord Knowles, for its leadership in the development of the Heart of the Continent geo-tourism project during the IEDC Conference in Cleveland, Ohio in September 2016. Barry Matherly, chair of the International Economic Development Council (IEDC) and Heather Lalonde, board member of the IEDC and CEO of EDCO present the Young Professional Economic Developer of the Year to the AEDC’s Gord Knowles, at a ceremony in Cleveland, Ohio in September 2016.